Almost a year ago I blogged about using the EventBrite API with ColdFusion. 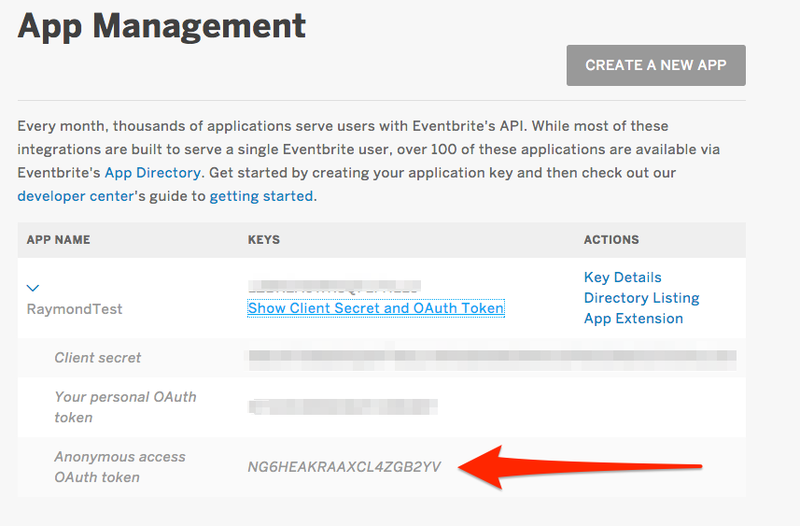 At that time, I was under the impression that all uses of the EventBrite API required a private OAuth token. This means it would not be possible to use the data on the client-side. (Unless you used a server to proxy the API calls for you of course.) But after speaking to Mitch Colleran from EventBrite, I was happy to discover I was wrong. In case you’re curious, the expand=venue option there just tells the API to return venue information. Without it, you get the ID of the venue and could do more HTTP calls to get it, but returning it all at once is simpler. Ok, so why bother? EventBrite already has embed options, right? Well they do - and those are nice - but if you want more control over the embed experience then you’ll want the ability to write out the data as you see fit. Here’s an incredibly simple example that fetches events and displays them in a list. Of course, I don’t have any error handling in there, but if you don’t tell anyone, I won’t. What’s nice is you could take this code and easily use it with something like FullCalendar to create a nice, large calendar on your site. You can run that demo here: https://static.raymondcamden.com/demos/2015/jul/22/test7.html.